How Many Games Will LeBron James Miss With Strained Groin? 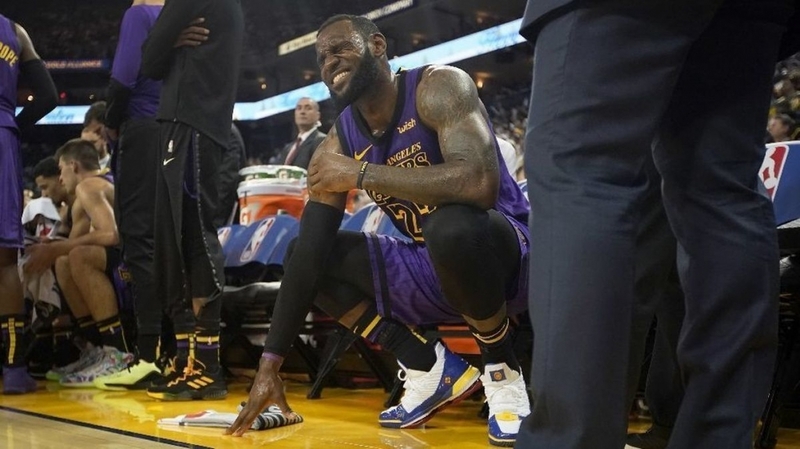 LeBron James strained his groin and had to leave the game in the third-quarter of the Lakers 127-101 win over the defending champion Golden State Warriors on Tuesday night. King James has been a most durable player during his 16-year NBA career, never playing less than 62 games in a season. The four-time MVP had an MRI done today and he's officially listed as day-to-day with a strain, so the future looks bright for Bron's return. He took to Twitter to share the positive news. He says he'll be back in no time, but reports are that Bron will miss Thursday night's game against the Sacramento Kings. UPDATE: LeBron James will not travel with the team to Sacramento for tomorrow's game against the Kings. LeBron has had a rough few weeks with the controversy surrounding his comments about NFL owners on HBO's "The Shop" and referencing 21 Savage lyrics in a social media post that offended some Jewish people. Maybe a couple of days chilling at the crib is exactly what he needs.